Apparently, post-apoc Britons will completely lose their sense of humour, if not most of the ability to use language altogether. I'd think on a battlefield where automatic weapons, including lots of crew served stuff, is endemic means that T2K horse cavalry in most theaters and places are going to be dragoons. Nobody in the major theaters of operations are going to be looking at cavalry charges or any kind of aggressive use of horses -- A) because it's a great recipe for getting killed and B) I think people who've speculated about horses being a pretty scarce resource circa 2000 are right and getting your ride killed or maimed in a firefight probably means you're right back to being foot slogging infantry. For some ideas on how modernish horse cavalry worked, it's worth noting that the Rhodesians, the colonial Portuguese, and the South Africans all used horse cavalry units in COIN ops in Africa from the 60s into the 80s (and with generally good results). Location: Somewhere in the Eastern U.P. on the edge of Civilization. It is one of the things that I think many people have over looked. Of units actually moving Horse Cavalry over distance via vehicle and trailer. Much like they do with Armor that has to move from time to time, to save on the wear and tear of the AFV. I think one thing we can generally agree upon is that the cavalry would be more or less used as dragoon/mounted infantry fashion. There's really no other way to do it on a modern battlefield with firearms. Even 100+ years ago the soldiers needed to dismount in the face of anything beyond weak resistance. Even during the russian civil war, were they used as such with rare exception when attacking lightly defended rear positions. And the Poles charging nazi tank is an urban legend. Even in the old glory days of the horse cavalry, there was a lot of marching on foot. A typical day of movement would start with a fast walk for the first hour, followed by a 15-min break to let the horses catch thier breath while the riders checked loads (even as little as 2-3 pounds extra on one side can injure a horse!) and checked girths. Second hour might be done at a slow canter, just to get the horses muscles working, followed by another short halt to check loads. Third hour might start with the horses being led at a military pace, followed by another halt and another hour at a fast walk. Noon would see the horses unsaddled (to allow their backs to dry), a feeding of a small ration of grain and then allowed to graze for an hour. Then back into the saddle to repeat the cycle of walk, trot, march, walk. The cavalry would sometimes through in a fast canter for an hour to make up time, but by using this pattern, the cavalry can cover about 40 miles a day. The key to all of this is to insure that the horses get plenty of grain and grazing and clean water. Now you see why when armies depended on horses that campaigns were normally fought in the summer/fall seasons. While grain is essential, the US Cavalry also used an old Native American trick to get a little extra oomph out of their horses. They fed them meat. Yes, meat. And yes, I am well aware that horses do not eat meat, exactly. What was done was to make up little balls of dried meat (no larger than your thumb), no more than a handful of pellets to a pound of grain and let the horses eat. It was never intended for long term use, but when speed was essential....it helped give the animal extra energy. please can you either upload or let me know the source. 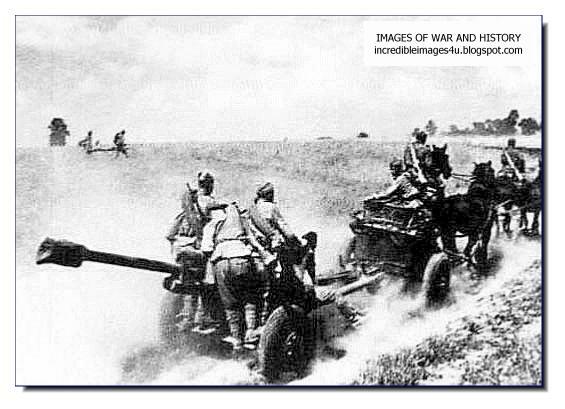 The Soviets would probably expand their Cavalry units into Divisions, (Brings back Corps (OMG)), and Armies to be use for internal security much like the Germans used it Cavalry Division on the Eastern Front. By 1998 I can see more and more of these units being used in front line areas due to the lack of replacement vehicle in many of the Armor and Mechanized Division as they start merging the units. I for one never bought into the fact that so few Divisions had be merged with other units or disbanded to bring other units up. Also I see the Soviets reverting back Brigades and Corps for Tanks and Mechanized forces after Early 1997 due to losses they had suffered on both Fronts and bring in pure Infantry (Rifle) Division and Armies back into style with towed artillery in support of these unit to hold the front, keeping the Tank, Mechanized, and Cavalry Brigades and Corps for here they plan on striking for their break through much like how they fought WWII against the Germans. Just some thoughts on the Pact side. Also it was interesting that Hungary, and many of the the Pact member to the South rarely had few of the Tank Divisions and Heavily Motorized Divisions and even Hungary had revert their Divisions into Brigades before the end of the Cold War. On the NATO side, by the time of the fall of the Berlin Wall, very few nations other the US, UK, France, and Germany had anything that represented a Divisional size level organization except on paper. Even the the French and the UK Divisions had been argued to be little more reinforce Brigades Groups depending on who article you were reading. As for Lancers Polish had tradition going back to WWII even if it was part truth and forklore of taking on German Armor Cars. Another place I would think a lancers would be seen in PA State Guard, they had during the Civil War several Regiments that had carried Lances, they weren't used much, but like Polish Cavalry of WWII, it help make the unit meld into effective unit. Like I said after late 1998, I can see more and more units on NATO going to find and build a horse mounted units. Even units fighting in South West in the US will start to converting units to horse mounted. In all cases they would operate as a mixture of Mounted Infantry in that they fight dismounted with limited support weapons, and traditional Cavalry mission of eyes and ears of their parent unit. In many, cases these units would go out and find enemy position and keep an eye on them while all along trying to to get spotted themselves. I see more US units being converted due to the non-existent supply chain by 1998. The only reason I don't see many of the US Division being merge with other is influx of cannon flodder into each Division own Infantry Replacement Depot from other service members being pushed into them and limited local recruiting. As has been mentioned before, yes it's good practise to try merging under strength units in the absence of reinforcements, however there are three very important requirements to meet before this can take place. Without all three of these factors being available in plenty, it's just not possible. With the Soviet operation system it wasn't much about opportunity or time. Fuel would be limited factor too. OT I guess the Osama Bin Laden is dead...and the US has the body...WOW. Back to it: In the way the Soviets operations are carried out you get supplied once before you leave for offensive or if you on the front line of defensive. During Offensive Operations once a unit is spent another unit is pushed through it to take up the offensive. Behind the next echelon is another one to take over. Behind all echelon is enough transportation and supply units and maintenance units. The supply bring up ammo and fuel, maintenance fixing what ever they need to rebuild units that have been passed. If there isn't enough troops and equipment left in these units will be merged with the remain of the units they had previous passed through or those that had just passed through them when the next Echelon has moved to forward edge of battle. So for Soviet it would be second nature, especially considering their involvement in China for up to Year before fighting in Europe started. We know units were stripped of equipment which was then transferred to other units. My guess is those receiving units were on the front line (or near to it) at the time. We also know by looking at the SOV 10th TD that personnel were also stripped, leaving little more than a cadre of officers and NCOs which were supposed to absorb and train several thousand Kazakh conscripts. Many of these deserted even before reaching the 10th with more disappearing soon after. By Winter of 2000 only a few dozen were left. I'd imagine many units were treated similarly during the course of the war. I think this thread should be made into two topics horse cavalry and bike cavalry...because they are two very different things and here is why. Horse mounted Cav can fight both mounted and dismounted. I doubt that bike Cav could actually fight while mounted. I have never tried to fire a rifle or carbine while on a bike but I don't think I could do it. I believe bikes would be used for general transportation but more importantly as vehicles for highly mobilized scout and reconaisance troops. Given that a relatively fit bicyclist can travel a great distance on good paved roads and much more quickly than men on foot its the perfect T2k solution to the problem, Its also low cost and fairly simple. Bike troops would have to travel as light as possible to keep there movement rate up and I think they would be trying to avoid a fight if possible but be able to defend themselves if need be. thats all I can think of for now but thats to get the creative juices flowing...I can definitly picture these guys crusing the countryside of europe. I agree that the two are quite different, however in an operational as opposed to tactical role their uses would be very similar. Regarding kit, I think that would be an ideal but by the time cavalry and bicycle infantry are in widespread use the ability to supply them would be starting to fail. I'm also not as convinced on the shorter rifle (excepting bull-pups), I would be looking at longer ranged weapons as I can see them being used a lot for sniping. Perhaps working in pairs, one with a long range bolt action rifle, the other with an SMG for close protection. If you find any useful bits please let me know. Will do, no problem. I'm only half way through and it already has a bit of a T2K feel to it. It's nuts. I can't put it down. Sounds more fun than all the bits on chemical warfare I'm reading up on (guess the next article I'm writing!). I should have specified horse towed... glad I didn't though some of those pics are ideal for afew of the things I am working on. This is a tried and tested concept and was used quite a lot by different armies in the interwar years and in the years after WWII. It has also been used by several smaller armies in modern days - for instance by the LTTE - Tamil Tigers. I am sure it could be used for recce, but I dont know many recce guys that would like to pedal along down a road with their bergens and kit in plain view... But consider that you could get 15 km an hour movement rate on a decent road and that you could bring 25 - 50 kg packs pr man. The VietCong where supplied by bicycles on mud tracks and dirt roads. A regular trooper marching along could get maybe an average of 5-8 km and hour and bring about 25 kg pack. as for carrying different weapons. One could set up a sniper or long range shooting unit this way and its not a bad idea especially for urban enviroments. The reason I chose carbines is they are lighter and easier to carry when slung and would be great when dismounted. But they could be equipped with any small arm that could be readily carried. FYI, 5kph is an average speed for a fully laden infantryman while patrolling in relatively open terrain (eg. light forest, farmland). That's moving slowly enough to be alert to danger, stopping every so often to check suspicious locations, etc. On a road march, a fully laden infantryman, at least in Australian service, is expected to complete 15km in little more than 2 hours (a fast walk, with some jogging) and still be ready to fight (ie not dropping from exhaustion). Special forces are expected to move MUCH further, MUCH faster. Glad that the other links have something useful, there's plenty of interesting images in the military photos threads but I kind of liked the Romanian Gepard so I just threw it in. Slightly expanded version generally giving a few minor details and with a few more pics. Could be lend some interesting perspectives on the use of horses in modern warfare. I find the premise interesting in that it implies that civilian-owned horses were requisitioned by the military following the commencement of hostilities. It was normal for horses to be requisitioned in wartime in a similar way to the way the Soviets planned to requisition the successor, the truck. A few extra details and colour text bits. No substantial changes. With thanks to my friend Neil Grant for extra useful info. I like the still from "The Thirteenth Warrior". Good job adding in information about bicycles. Although Fort Huachuca doesn't have any cavalry per se, equines are widely used in a couple of roles. The Arizona Rangers operating inside SAMAD use horses for patrolling in a manner not entirely dissimilar to COIN operations in southern Africa. They very seldom fight from horseback, although they train to fire rifles at long ranges from horseback and break out of ambushes on horseback (switching to shotguns or sidearms in these instances). Fort Huachuca had a ceremonial cavalry unit prior to the Exchange. These guys go over to the Arizona Rangers to help build the equestrian skills of the new Rangers. By 2001, horses and mules are also widely used for moving loads away from decent roads. Task force-level anti-marauder operations throughout Arizona typically require the infantry to go to where the enemy has holed up. The terrain surrounding marauder lairs often is selected for its restrictive nature. Sometimes the tanks can't even get there. Horses and mules hauling HE and HESH rockets for the locally-manufactured version of the RPG (as well as other munitions) literally have made the difference between success and failure during many operations in rough terrain. It's not glamorous, but then the logistical jobs seldom are glamorous--just indispensible. Other government forces in the Southwest make use of horses in a semi-cavalry role. Arizona State Guard 1st Brigade, which is the military arm of the surviving Arizona state government at Flagstaff, uses horses on long-range patrols. The New Mexico state government, which is still hanging on in Santa Fe, uses horses in a similar role. During the ill-fated 1999 offensive by Third Mexican Army, New Mexican forces acted as dragoons. On more than one occasion, when the Mexican column was halted by a roadblock mounted Americans used the off-road mobility of their horses to move to flanking positions. MilGov forces at Cannon AFB in eastern New Mexico also make use of horses for patrolling. USAF SF combine light AFV with horse-mounted troops acting in a dragoon role to respond to security crises. “We’re not innovating. We’re selectively imitating.” June Bernstein, Acting President of the University of Arizona in Tucson, November 15, 1998. A minor update with the style changed to match the other articles.